From past some time we have come across various models from the house of BMW, expanding their planned series. In the same queue the midsize coupe segment, precisely the 4 series gets this new unveil BMW 428i Gran Coupe M Sport 2015. Already heart-warming 428i with its M package model gets some astonishing features in and out and thus makes its way to its buyer’s heart. 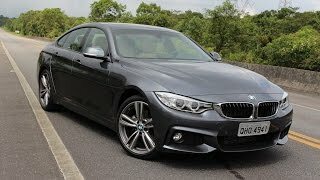 Let us have a look at the review of BMW 428i Gran Coupe M Sport 2015 and get to know more about it. Interior of BMW 428i Gran Coupe M Sport 2015 is, as classic as you can expect it from a company like BMW. However there is an additional treat which comes through increased space offering 4+1 seating. Apart from passenger space the rear seats can be folded giving you increased cargo space while with seats upright you have a section in center offering two cupholders. Talking about the cabin of BMW 428i Gran Coupe M Sport cabin and its technological upgrades, you have a free-standing iDrive Monitor and trim strips joining visually the cockpit with rear compartment. Making the interior of BMW 428i Gran Coupe M Sport 2015 unique the package comes brings for you, M door sill finishers with steering wheel wrapped in M leather. Driver’s footrest also carry the unique pattern and yes adding to the comfort and luxury SensaTec or supple Dakota Leather upholstered sports seats. 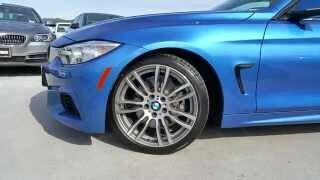 Exterior of BMW 428i Gran Coupe M Sport 2015 at first sight will look similar to that of Coupe. Starting with the front fascia you have kidney grille sitting amidst the dual LED headlights designed in round pattern. The apron gets large air intake in its center while the corners get vertically standing intakes passing fresh air to brakes. 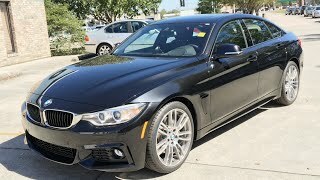 BMW 428i Gran Coupe M Sport 2015 exterior brings minute change to you when noticed from side and this comes through its sloppy roofline in comparison to the Coupe version. Below in the rear bumper you’ll notice a diffuser insert adding aggression to the model’s looks while the drenched in Carbon Black Metallic and Estoril Blue models look enormous rolling over 18 and 19 inch light alloy wheels. 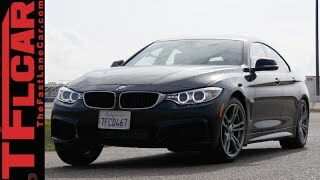 The BMW 428i Gran Coupe M Sport 2015 gets its power through a 2.0 Liter four-cylinder engine with TwinPower Turbo technology generating total output of 245 hp and peak torque of 345 nm mated to eight-speed sport Steptronic transmission availing both automatic and manual shift with paddle shifters mounted at the back of steering wheel. 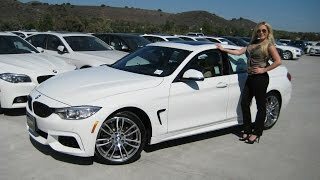 With its thundering power BMW 428i Gran Coupe M Sport 2015 can knock the 0-62 mph sprint in just 5.7 seconds while the fuel consumption comes to 23 mpg city/35 mpg highway/27 mpg combined.